High Performance Machine Polish. 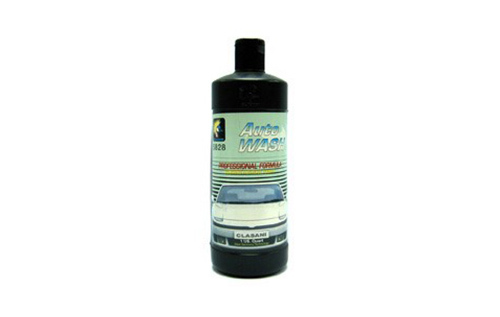 Quickly and effectively removes compound swirl marks and produces an outstanding finish. Good handling, easy cleanup. 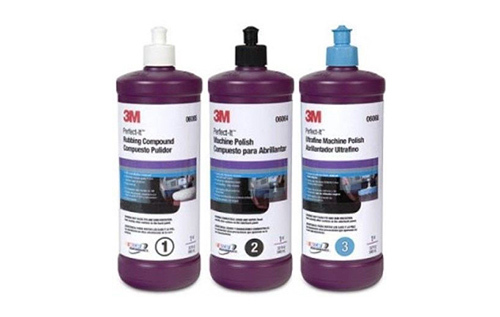 The Perfect-It brand means this is 3M's highest performing machine polish. High Performance Ultrafine Machine Polish. Unique formula eliminates swirl marks and produces a high gloss finish, even on the most difficult dark colored vehicles. Good handling, easy cleanup. 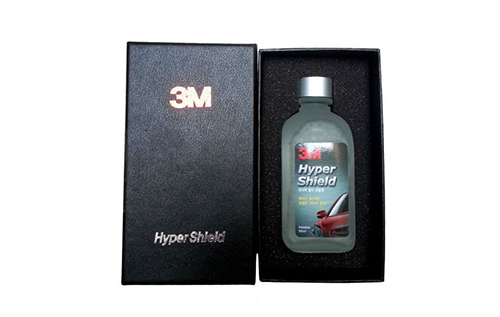 The Perfect-It brand means this is 3M's highest performing machine polish. Paint coating protection performs excellent and longlasting water repellent and protects the surface from color changes by uv and rain drops. Note : This product is recommended for professional application by industry trained technicians. Please observe all safety information and instructions on supplied User Manual. For Used vehicle’s with any trace of oxidising or surface scratching it is recommended to prepare the paintwork with Roar 610 Extreme Cut or Roar 620 Extreme Fine Cut first to remove these imperfections. 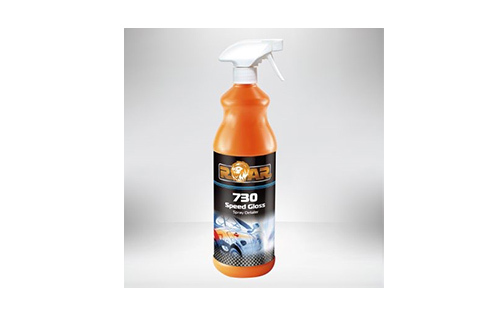 Using Roar 713 Pre Wipe Cleaner and a Roar RA 101 Edgeless Finishing Cloth remove any remaining waxes and oils from the paint surface. 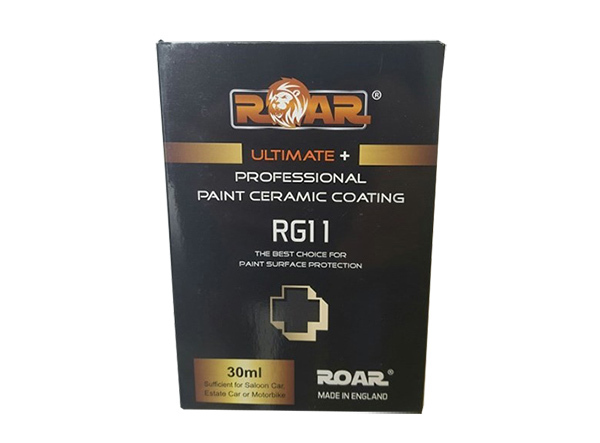 Apply the Roar RG 11 Ceramic Coating by use of the supplied applicator and towel. Apply even coats in firstly an up and down motion then cross coat left to right on one panel only. Allow to dry for 1 minute and buff off with Roar RA 101 Microfiber Cloth (do not allow to stand for longer than 1 minute or streaking may occur). After application of RG 11 Ceramic Coating allow to cure for at least 2 hrs. before exposing to moisture. Can be over coated after 2 hrs with Roar 815 Spray Gloss Detailer for a silky smooth surface if required. 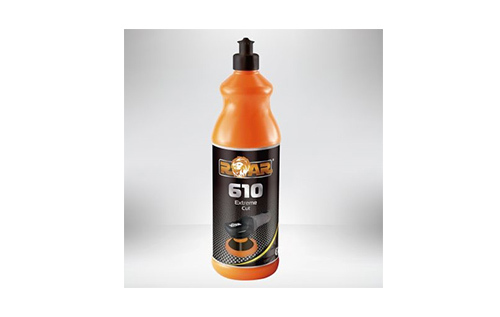 ROAR 610 is a versatile all in one compound that minimizes process speed by completing both the cutting and polishing steps with one product. 610 provides a fast cutting action to easily remove P1500 (or finer) sanding cards permanently. 610 is suitable for all paint systems including compliant HS, UHS and Scratch Resistant clears. The unique abrasive system will allow both cutting and polishing steps to be completed simply by using ROAR compound and polishing foams during a single application of 610 compound. Apart form the permanent removal of sanding cards, 610 will produce a high gloss swirl free mirror-like finish when buffed as a second step oath ROAR (620PF) polishing foam. 620 Extreme Fine Grade provides an extremely fast cutting action on all modern paint system. One step process can remove swirl cards and holograms and leaves a permanent high gloss finish. 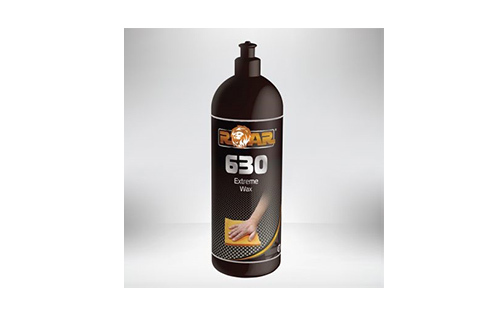 620 Extreme Fine Grade is ideally applied with a ROAR 6″ Black Waffle Foam to provide the correct cutting action and optimum swirl free finish on all paint surfaces. 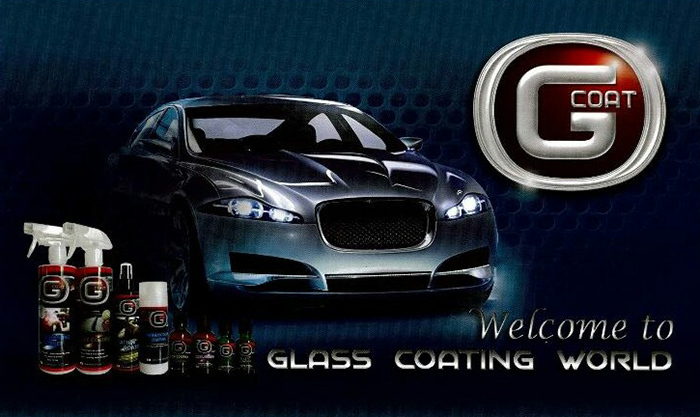 G-Coat is the latest coating technology to produce glass-hard surface coating film. It's durability and high protection capability overwhelmingly exceed the traditional coating products such as wax, polymers and paints-sealants. There are many types of paint protections such as wax, polymer coating and glass coating. Wax and polymer coating have hydrophobicity and gloss properties. However, they are easily damaged by ultraviolet rays and acid rain. Conversely, glass coat can achieve much longer durability and weather resistance than wax or polymer coating. Moreover, glass coating forms a hard glass layer which provides high resistance against scratches, solvent (Cannot be removed by IPA after crystallization) and fire. These special characteristics are not found in wax and polymer coating. The below selected professional application products are used specifically to take care of the interior and exterior grooming works. 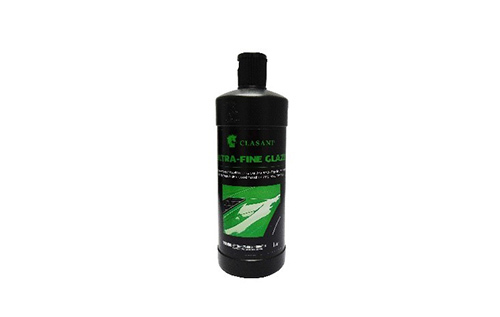 CLASANI 06996 Ultra-Fine Glaze is designed to remove compound swirl marks from all types of automotive paints quickly and effectively, and produces an outstanding high gloss finish. Polish using a buffer equipped with a foam glazing pad. IMPORTANT: Use a foam glazing pad that is not contaminated with any other products. Apply enough glaze to work a two foot by two foot area. For best results, use enough glaze to leave a thin wet film on the surface for one to two passes with the buffer before it begins to dry. Start the machine and buff using light to medium pressure. Reduce pressure as glaze begins to dry. Use a clean piece of micro-fiber cloth to remove any remaining residue. Note: To avoid staining, do not apply or polish under direct sunlight, or onto hot surfaces. If glaze slings onto an adjacent panel, remove spatters using a clean piece of micro-fiber cloth before polishing the next panel. Unique, clear coat safe treatment to remove overspray, light acid rain, industrial fallout, water spotting, brake and rail-dust. It deep cleans and makes polishing/waxing even easier. Specially formulated for cleaning cars. It's concentrated formula contains biodegradable detergents and anti-rust agents for maximum washing performance and protection. Cuts through dirt and grime without stripping the wax. No streaking or water spotting, it leaves a spotless lasting shine. Safe for all paint surfaces, including modern clear coat and metallic finishes. Rubbing compound to remove sand scratches from all types of refinish of factory applied automotive paints. 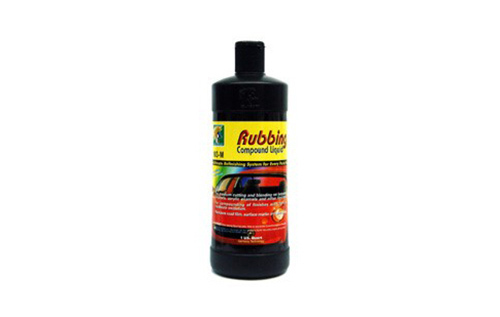 It may also be used to remove car wash scratches, oxidation or other defects from paints that do not require sanding. 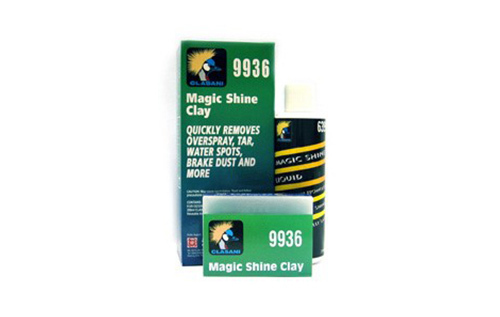 For medium cutting and blending on lacquers, enamels, acrylic enamels and other finishes. For compounding of finishes with light to moderate oxidation. Unique blend of waxes and oils to enhance the appearance and feel of leather surfaces. Specially fomulated treatment for exterior rubber in particularly on tires. Restores "new" look to tires, rubber bumpers and vinyl moldings. Cleans and rejuvenates exterior and vinyl mouldings. Contains high solid contents and is long lasting. 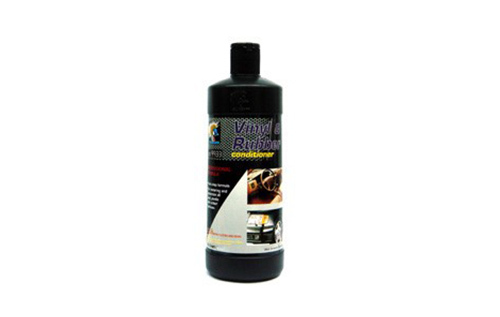 Conditioner for interior and exterior application on vinyl and rubber parts such as tires, dashboards, interior vinyl door panels, trim, bumpers and moldings.